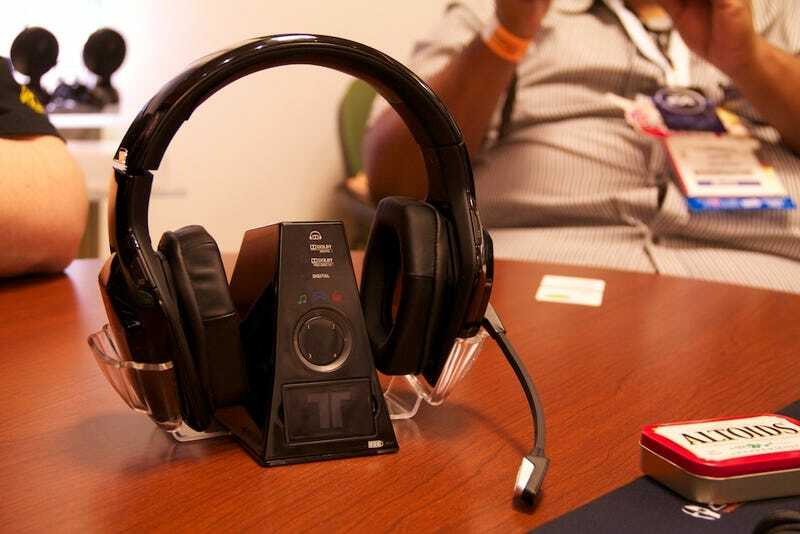 Mad Catz's official Xbox 360 headsets has one thing nobody else has: They're totally wireless. There are three models, but the two you care about are the Warhead and Devastator. The former's Dolby 7.1, the latter's stereo. I didn't get to wear them, much less listen to them, so I can't tell you the two most important things about them: how they sound, and how they feel. But, specs-wise, they're both are using 5.8GHz wireless to reduce interference and 50mm drivers. The Warhead's base station has a built-in battery charger, and it comes with a pair of hot-swappable batteries so you'll theoretically always have juice.